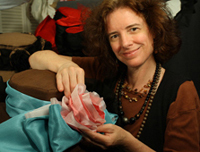 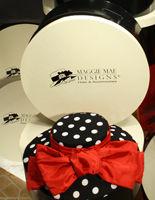 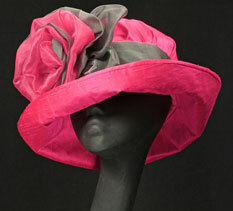 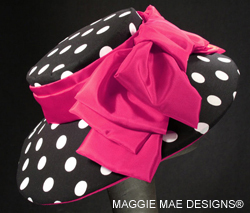 Welcome to the Pink Hat Collection at maggiemae.com! 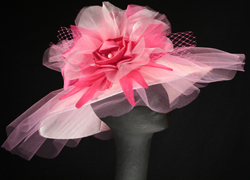 We have collected a few of the hat designs that are pretty in pink from the entire website together here in the following collection for your convenience. 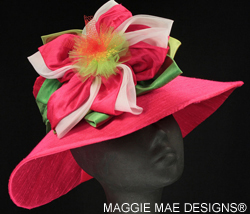 For other lovely hat designs that could also be recreated in pink fabrics, please visit the Spring Summer Ready-to-Wear Hat Collection for casual everyday wear hats and the Derby Hat Collection. 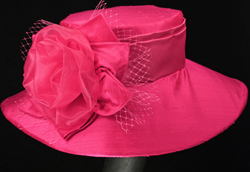 Please email Sally if you would like to discuss a custom hat order, or if you have any questions! 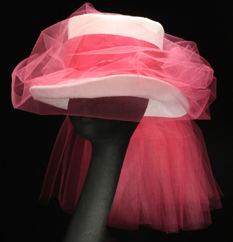 Click on the hat for more information!